During the decade leading to World War Two, the U.S.S.R. was the only nation that trained sniper units rigidly. Although other nations trained them too, it was not to the same degree. As a matter of fact, 95 out of the top 100 WWII snipers by kills were Soviets. Here are five historical icons who are among the most famous snipers and gained notability for their gallantry and outstanding marksmanship. When Zaitsev joined the Battle of Stalingrad, 24 hours was the average life expectancy for a soldier in the beleaguered city. Armed with only a standard-issue rifle, he killed at least 30 enemy soldiers within 10 days. His superiors noticed his talent as a marksman and eventually made him a sniper. 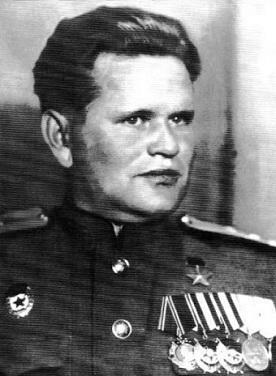 Zaitsev was able to develop sniper tactics employed by the Red Army. He achieved at least 225 kills and became Stalingrad’s most famous WWII sniper. 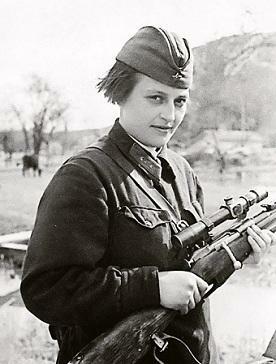 After being informed that her brother was killed during the Siege of Leningrad, young Shanina volunteered for the sniper academy. In 1944 when her class was deployed, she turned out to be an unusually skilled sharpshooter, got recognized and was appointed the commander of her unit. 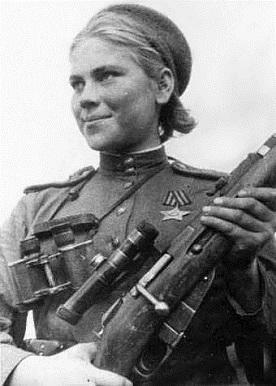 Throughout her service, Shanina’s sniper tally reached to at least 54 kills. Shanina was killed in 1945 while trying to protect the severely injured artillery commander. She was only 20 years old then. 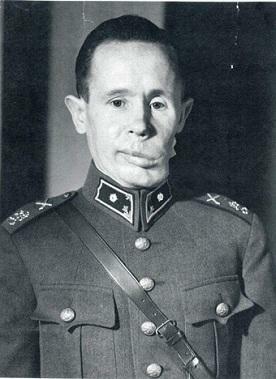 By the Winter War of 1939 to 1940, during the time when the Red Army invaded Finland, Häyhä gallantly fought in Kollaa and Ulismaa, where he was recognized as Finland’s most famous WWII sniper. 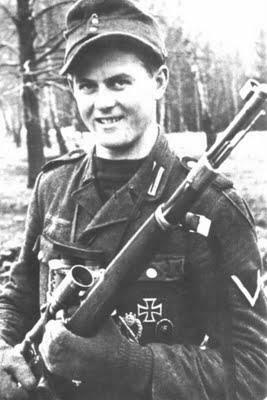 Nicknamed “The White Death” because of his infallible sharpshooting prowess, Häyhä is noted to have at least 500 kills, some would say, as many as 542. He was injured toward the end of the war after he was shot in the face by an exploding bullet. In the hospital, he was in a coma for a week and awoke on 13 March 1940, the exact same day peace was declared. When Germany started invading the Soviet Union, Ukrainian-born Pavlichenko fearlessly volunteered to join the Red Army. During this period when women were still not approved as soldiers, she became famous as “Lady Death” and was recognized as the most successful female sniper of WWII. Pavlichenko was credited to have reached 309 kills before she was wounded by mortar fire. She recovered but never returned to combat. However, her success on the battlefield was acknowledged and had led to fame, so the Soviet Union appointed her on a support campaign to allied countries.